This interactive maps web page is for general information only. The features on these maps are for illustration purposes and are not intended to be used as a survey product. The Texarkana Water Utility makes no warranty, representation, or guaranty as to the content, sequence, accuracy, timeliness or completeness of any of the database information provided herein. The user expressly agrees that use of the data provided herein is at the user's sole risk. 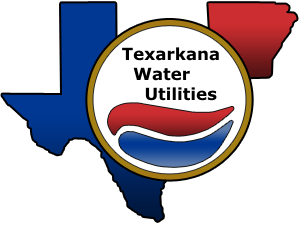 The Texarkana Water Utility explicitly disclaims any representations and warranties of any kind, express or implied, including, without limitation, the implied warranties of merchantability and fitness for a particular purpose. The Texarkana Water Utility shall assume no liability for any errors, omissions, or inaccuracies in the information provided regardless of how caused; or any decision made or action taken or not taken by user in reliance upon any information or data furnished here.